Trying to fit a workout into your schedule on Labor Day? Since it's a holiday, why not make it a fun sweat session? 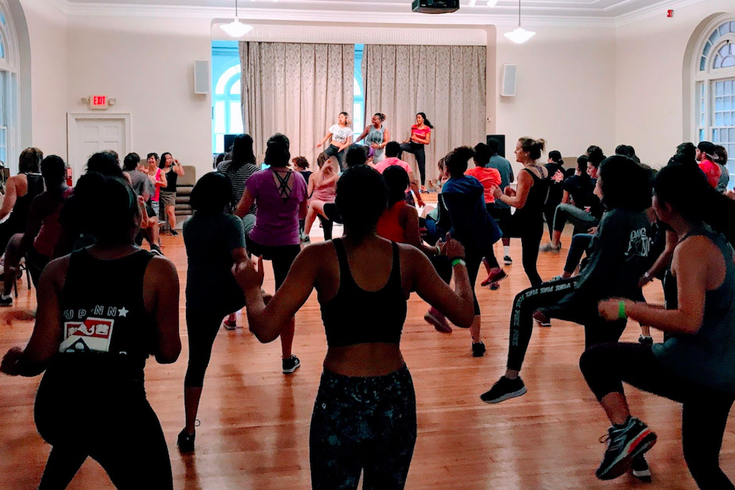 Join a lunchtime dance party at Philly Dance Fitness' Rittenhouse studio. An instructor will lead the class in a series of easy-to-follow routines. Don't worry, no prior dance experience is necessary for this cardio workout. The dance party will run from noon to 1 p.m. For members of Philly Dance Fitness, the class is free, otherwise it's a drop-in fee of $13. Space is limited so register ahead of time.